Home Hardware Should You Wait to Buy a Laptop with 8th Gen Core? Should You Wait to Buy a Laptop with 8th Gen Core? If you’re like most consumers, you only buy a laptop once every several years. So you need to make sure that when you do pull the trigger on a new system, you won’t end up with buyer’s remorse when something far better launches a few weeks later. With laptops powered by Intel’s new 8th Generation Core Series CPUs due out this fall, there’s an obvious question to answer: should you wait? Intel claims that 8th Generation Core Series processors will offer as much as 40 percent better performance than the current, 7th Gen “Kaby Lake” processors in every 2017 laptop. In a major improvement over prior generations, the “U Series” chips that appear in most mainstream, consumer laptops will go from two to four cores, which should provide far better multitasking. 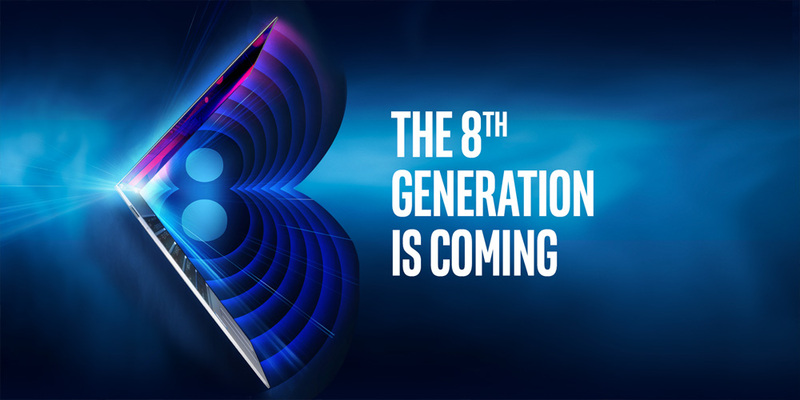 Starting in September, all of the major PC vendors will begin rolling out new laptops with 8th Gen Core Series processors. Most of them will be refreshes of existing product lines and it’s likely that they’ll have the same prices as the laptops they replaced. So, if Intel’s claims are anywhere close to true, waiting a few weeks could give you a much faster computer at the same price. However, if the laptop you’re considering won’t be refreshed for another six months or more, you shouldn’t wait. At a certain point in any gadget buying process, you have to live with whatever the best available device is at the time. For its initial rollout of 8th Gen Core Series, Intel is only releasing four products: two Core i5 chips, and two Core i7 chips. All of them are members of the U Series of processors that you find only on consumer laptops that usually cost over $500. We don’t know all of the notebooks that manufacturers plan to refresh this fall and some otherwise upgradeable systems may not get an update until spring. Based on what happened during the past two autumns, when Intel released its 6th and 7th Gen chips, I predict that premium laptops from the likes of Dell, HP, Asus and Lenovo will all be replaced by the end of October. 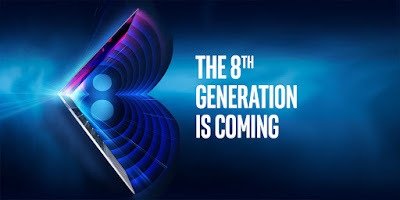 Intel has announced that it will be introducing 8th Gen desktop CPUs sometime in the fall, but hasn’t put any data against any of its other CPU categories. In the past two cycles, the chip-marker has launched the consumer U series SKUs in September and dropped its high-performance HQ / HK series, along with business-friendly U-series chips, at CES in January. Business Laptops: If you’ve had your eye on a ThinkPad or a Latitude, you should pull the trigger now. Though most of these laptops use U-series CPUs, Intel isn’t releasing the business-centric version of U-series until later. Gaming Laptops: All gaming systems use high-performance HQ or HK-series CPUs from Intel, which aren’t included in the current launch. Mobile Workstations: Powerful mobile workstations such as Dell Precision, HP ZBook, Asus VivoBook Pro or Dell XPS 15 all rely on HQ series processors. MacBooks: Apple just refreshed all of its MacBooks in May and the company doesn’t usually incorporate new processors right away. Don’t expect new models until spring 2018. Microsoft Surface Pro / Surface Laptop: Microsoft is notoriously slow to upgrade its devices. However, because the Surface Book is so outdated now (it’s on 6th gen core), we may see a refresh of that laptop in 2017. Super-Thin 2-in-1s: Any device that uses Intel’s low-power Y-Series processors is in an indefinite holding pattern. The Dell XPS 13 2-in-1 (but not the regular XPS 13) is a prominent member of this group. Budget Laptops / Chromebooks: There’s no update for Intel Celeron, Pentium or Core i3 processors. So it’s safe to buy one of those. Intel claims that you’ll see up to 40 percent of an improvement over 7th-Gen Core, but it’s not clear how significant the benefits will be in real life. If you wait two months to buy a laptop with a Core i5-8250U processor, the base model, over one with today’s equivalent, the Core i5-7200U, will you even notice the difference? Since, we haven’t benchmarked an 8th Gen Core-based laptop yet, we can’t say whether the performance benefits are as great as Intel claims. The jump from two to four cores seems like a big deal on paper, but we’d have to benchmark the new systems to find out. We know for a fact that the new 8th Gen CPUs will not improve graphics performance. The new processors use the same, exact Intel HD 620 graphics processor as 7th-Generation Core series processors. It almost goes without saying that faster CPUs won’t improve boot and load times (an SSD would do that) . We don’t know yet whether 8th-Gen Core-powered laptops will last longer on a charge, have similar endurance or suffer worse battery life than their predecessors. It’s hard to believe that we’ll see an improvement in battery life, because going from two to four cores could consume more power. However, if Intel has done some things to make the chips more energy-efficient, they could make up for the added workload. If you’re considering a laptop purchase today, consider whether the notebook you want is likely to get an 8th Generation refresh this fall. If it is one of the categories that won’t see an update anytime soon, don’t even think about waiting. However, if you have your eye on a new consumer laptop with a Core i5 or Core i7 U-series CPU, you may want to delay your purchase for a few more weeks. What are the Meanings of Intel Processor Suffixes?